Let me repeat that Tokyo is a large city. You will find more than 4000 hotels in Tokyo on Booking.com. Things to see do not gather in one single main street in Tokyo, so even a 5-Star luxury hotel located in ONE OF the attractions is NOT ALWAYS convenient for you. I strongly hope that international travelers to stay at the best hotel to make your trip better. It depends on each’s purpose and places to visit in Tokyo which hotel is the best for you. That’s why I’ve been writing these Insider’s Travel Tips on this blog and Tokyo Direct Guide – I believe it will be a great help for you. Well, Shinagawa is a district that few people will regret staying in. 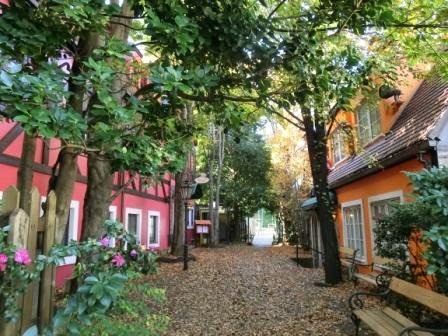 Visit many places in Tokyo such as Asakusa, Tsukiji Market, Shibuya, Harajuku, Odaiba, Ueno, etc. Plan to take a Shinkansen (= Japanese bullet trains) to Kyoto, Osaka, Hiroshima, etc. I definitely encourage you to stay at one of the hotels in Shinagawa. If you have one of the factors above, you don’t hesitate to decide to stay there. In this post, I’ll show you 5 reasons to stay in Shinagawa. There is a stylish aquarium inside Shinagawa Prince Hotel. It means a lot that it’s inside the hotel, doesn’t it? Even in the worst case scenario such as terrible weather, you can enjoy cool things in Tokyo! Aqua Park is not very large, but its feature is the modern, urban, romantic atmosphere with lights and decorations. You meet sharks to anemone fish, crabs to penguins. Dolphins and sea lions hold shows. There are events to learn the animals at the stages as well. After the renovation in 2015, the aquarium reopened as Epson Aqua Park Shinagawa. I must say it became greater – You can see it! Jellyfish in Epson Aqua Park Shinagawa – So cool! If you want to see more, please open Best Photos of Dolphins & Jellyfish at Aqua Park Shinagawa. You can enjoy something fantastic inside your hotel – that’s just great, isn’t it? Prince Hotel group is a big trustworthy chain in Japan. 2 hotels near Shinagawa Station are Prince Hotels. They offer a lot of facilities inside. Not only Aqua Park, there are movie theaters, bowling alleys, swimming pool, tennis, golf, beauty & relaxation center, convenience store, karaoke rooms and a lot of souvenir shops. The hotel itself is a center for tourists. I see many international tourists enjoying their stay in the hotel facilities. 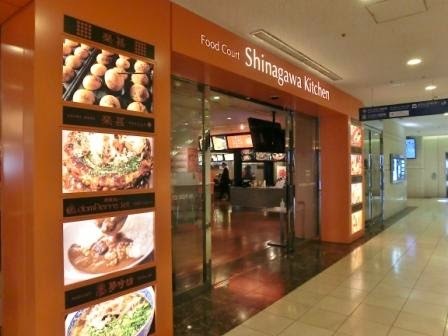 Talking about one of the facilities, this is Food Court Shinagawa Kitchen. I really feel that it is a great collection of casual food. You can try fast food pizza, tako-yaki, ramen, okonomi-yaki (these three are Japanese soul food,) etc, and the brands are all famous. Eliminate your efforts to find a good restaurant on your laptop screen. You can try all here. I think some of you really want to stay in Shinagawa now. More reasons are coming below! The next comes an interesting place which is especially brilliant in Christmas season. 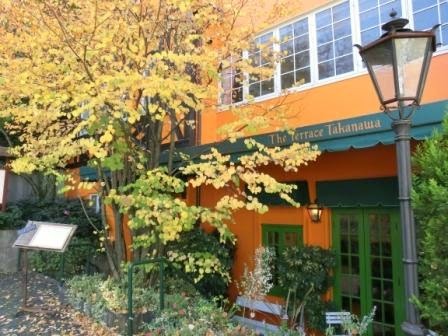 The Terrace Takanawa is a famous French restaurant. 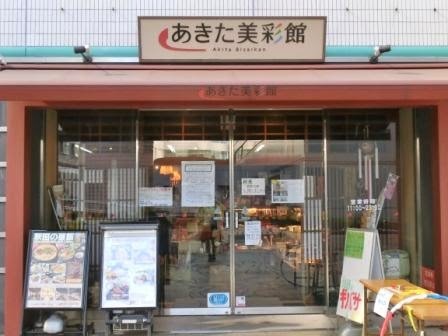 Lunch is 2,500 yen – 5000 yen. Actually, this house used to be known as Christmas Shop, which used to offer imported Christmas ornaments all the year around. 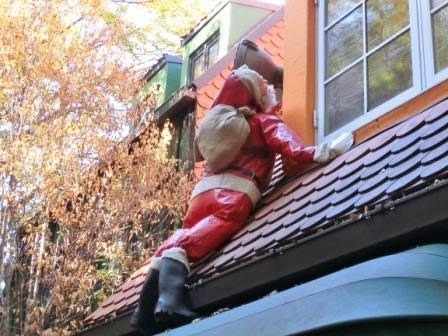 Unfortunately, they stopped selling them some years ago to pursue weddings and classic concerts there, but you can still meet Santa Clause on the roof all the year. Santa is here all the year around! And they sell Christmas items as they used to only in November and December. It’s worse seeing especially in Christmas season. You see, Shinagawa is a district where something fashionable can be! Shinagawa is the last place to have troubles in good meals, no matter which you are looking for luxury restaurants, international cuisine, casual restaurants for families, fast food or Japanese soul food that I wrote above in this article. There has been a Singaporean restaurant for long. I once entered there and it was fantastic! If you are an adventurer who cannot be satisfied with normal things that everyone does, I’ll show you one place which offers you unique experience. Akita Prefecture in Northern Japan has an official shop in a building named Wings, which is located just across Aqua Park. Local foods and crafts are very interesting to see (& buy, of course) because we can have the real feelings of North Japan. At the restaurant, you can have Akita’s local noodles and plates served as the originals. You can get tourist information on Akita, too. Akita is famous for Shirakami Forest the world heritage site. Northern Japan is an interesting district with Hiraizumi in Iwate Prefecture as well. Where is a beautiful romantic luxury restaurant? They are in the high floors in the hotels – I don’t need to explain! 5: How Convenient Shinagawa is! At last, I’ll explain why transportation in Shinagawa is so convenient by simplifying Tokyo’s spider-web-like route maps. VERY SIMPLE. No need to change trains. See The Easiest JR Train Map of Tokyo City, and you see what I am saying. To Asakusa, take Keikyu Line, pass Higashi-Ginza Station of Tsukiji Fish Market, and get off at Asakusa Station. To Odaiba, Odaiba Rainbow Bus will take you there directly. To Roppongi, get on a bus in front of Shinagawa Goos. Take a Tokaido Shinkansen (Japanese bullet trains) at Shinagawa to Kyoto, Osaka, Hiroshima, etc. I believe that you see how convenient Shinagawa is. If you have Lonely Planet and a plane ticket to Tokyo in your hand, (and Tokyo Direct Guide on another window on your screen,) there is no reason to hesitate to book your favorite hotel in Shinagawa. If you don’t have a concrete travel plan right now, keep this post in your mind for the future! Guests of these hotels have special discounts for Aqua Park. Prince Hotel Group is one of Japanese leading luxury hotel chains. Everything is pleasant in the hotel. Keikyu EX Inn Shinagawa and Takanawa Tobu Hotel are run by railway companies. From my point of view, they are relatively cheap as hotels for both tourists and business people, and comfortable enough to stay. Oimachi, the neighboring district, is also travelers’ town. Surely one of these hotels will make your travel exciting and memorable. Have a good trip with Tokyo Direct Guide! How I wish I found your blog earlier. I have booked my accommodation in Kachidoki and Itabashi area. Could you please advise if JR Pass covers the train for lines to these destination as well as Yamanote line? If it does, does it mean I just need a JR pass for all my transportation need In Tokyo and back to Narita? I feel I must give you my answers and an IMPORTANT suggestion. That's why I started my sites. I don't think that the nearest station from your hotel is a JR station. For example, Kachidoki Station is an Oedo Subway Line station, not JR, so your JR Pass is not valid. You booked a hotel that is convenient to visit Tsukiji, didn't you? If so, I think your idea itself is good to travel in Tokyo, so please keep reading. There are JR Yamanote and Saikyo line stations such as Ikebukuro, Itabashi, Komagome, etc, and if you find any of them near your hotel, you can use JR Pass. I think no. You can't take subways by JR Pass. In Tokyo, there are 13 subway lines and they are important for anyone as well as JR. Most travelers need to take some of them to go to popular destinations such as Asakusa, Tsukiji, Roppongi, etc, and they say it was challenging for them to understand the subway maps. I've summarized everything to learn about transportation in Tokyo in the following links to help people like them, so please have a look at them. Yes, you can take JR Narita Express (N'EX) by JR Pass. These are my answers to your questions, and I have an IMPORTANT suggestion from a viewpoint of a Tokyo local. If you are not going to take Shinkansen bullet trains to other cities in Japan, buying a JR Pass cannot be a saving, but a HUGE LOSS up to over $100!!! JR Pass becomes a saving only when you take Shinkansen trains twice at least – It's a ticket for round trippers traveling throughout Japan BY TRAIN. Moreover, as I told you above, you can't take subways and most non-JR trains by JR Pass, so you need to buy paper tickets every time you take them after all. JR Pass is not helpful for you to travel inside Tokyo. Instead of JR Pass, I recommend Suica or Pasmo IC card or just paper tickets from vending machines at every station to go sightseeing in the city, and get tickets from & to Narita separately. It is REASONABLE AND CONVENIENT. I really wish it is not too late for you to re-plan your trip, get refund of JR Pass (and re-book hotels in case you need to). I'll write about JR Pass in the near future on this blog, but I think my guides above will be helpful enough for you. Use Tokyo Direct Guide (it'll support my sites) and feel free to ask me further. Thank you for visiting my sites & reading this super long answer!! Have a wonderful stay in Tokyo!!! 2. I saw the Saikyo line mentioned when I went to http://www.jnto.go.jp/eng/ to check the train to Itabashi but I don't see it in the Tokyo Metro map but I think I’ll get by when I’m there. D2 Visit Tsukiji, Ginza, Imperial Palace, Yurakucho,… or should I visit Disneyland then visit Tsukiji on D3 morning before catching a train to Hakone/Kawaguchiko? Am afraid it’s a bit too rush. I need your advise on option 2 where if I’m going to Kyoto, is it more convenient to catch a train at Odawara from Hakone than from Kawaguchiko because I don’t want to backtrack to Tokyo in order to go to Kyoto. But then again, am I too greedy to dump in all these places to visit at one go or should I make Osaka and Kyoto as my next trip to Japan for a 3d2n or 4d3n tour. I think it’ll cost about the same right? Based on my above itinerary, I thought I should get a JR Pass and Fuji Hakone Pass but I’m not sure if I still need a Tokyo Wide Pass, Tokunai, or just buy my ticket from the vending machine. Kindly advise. You have 10 days in Japan, so I think you have time to visit Kyoto and Osaka. And, yes, it's much convenient to catch a Shinkansen train at Odawara than returning from Mt. Fuji to Tokyo. If you intend to go to Hakone by Fuji Hakone Pass of Odakyu Railway, you don't need Tokyo Wide Pass at all. Even in case you don't get a JR Pass, I don't think you need a Tokunai Pass. As far as I see it, it is for those who want to go somewhere on weekend without any specific destinations. Honestly, it is not very useful for me, either. Buying tickets from vending machines or charging Pasmo/Suica will be enough. Itabashi Station is JR, and there is not Itabashi subway station. What's confusing is that "Itabashi" is not always a station name. When it means Itabashi Ward, I suppose the area you are referring to is much larger than you think. Hotel search results of "Itabashi" are like this, and it is right that all of them are somewhere in Itabashi Ward, but they are far from Itabashi Station. Make it sure where exactly in Itabashi you hope to stay. Searching hotels with viewing maps on hotel booking sites will be the best way to find a good one for you. A little more. I advise you to visit Ameyoko on the same day to go to Ueno Park. Ameyoko is neighboring to Ueno and it is in a walking distance. Then your schedule will be very efficient.